I was accompanying a client to court for an unlawful detainer hearing and had the pleasure of listening to a few unlawful detainer cases at the newly built Bill Santucci Justice Center in Roseville (Placer County), California. Previous homeowner showed up with her arm in a sling as the Defendant in an eviction after foreclosure. The Plaintiff was an investor who bought the property at a trustee sale. Plaintiff had a verbal agreement with the Defendant that she was going to vacate the premises within a couple of weeks. Defendant did not move out and told Plaintiff she was waiting for a refund check from the bank to pay for her moving expenses. Plaintiff filed an unlawful detainer action and Defendant claimed discrimination against her because she was “disabled” (note: the only evident “disability” I saw was her arm in a sling). Defendant also asked for additional time to stay in the home because she had lived there for 50 years and was disabled. 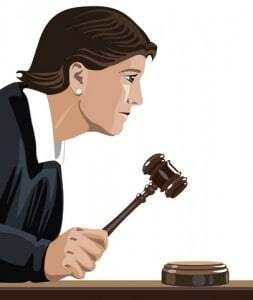 The judge dismissed the Defendant’s discrimination claim, denied her request for additional time in the home, ruled in favor of the Plaintiff and issued a Writ of Possession and Judgment. Tenant (Plaintiff) sublet a room in a home to another tenant (Defendant) and filed an unlawful detainer action for non-payment of rent. Defendant claimed he had not been allowed access to the home and was physically threatened by the Plaintiff since the rent had been unpaid. Defendant stated they had a verbal agreement that he was to provide yard clean-up and regular housecleaning services in exchange for the room and that no rent was due. Plaintiff denied this, saying there was no such agreement and that rent was past due. Since the Plaintiff’s lease agreement stated that any subletting of the home needs prior written approval from the Landlord, the judge ruled in favor of the Defendant since there was only a verbal agreement. Previous homeowner filed an unlawful detainer action against Defendant, but lost the home to foreclosure before the trial date so the case was canceled. Previous homeowner claimed he did not rent the home to her and had reported trespassing by squatters to the police when he went to the home and found unknown people living there. Current owner (Plaintiff) bought the property at a trustee sale and filed an unlawful detainer action after Defendant did not move out as verbally agreed. Defendant argued that she was entitled to stay in the home for 90 days due to being a bona fide tenant after foreclosure. Plaintiff responded saying the rent amount claimed by the Defendant at $1000 per month (which she has not paid to the previous owner nor the current owner) was significantly below market value rent of $1700 per month and that disqualified her bona fide tenancy. The judge found that the Defendant was not a bona fide tenant, denied her request for additional time in the home, ruled in favor of the Plaintiff and issued a Writ of Possession and Judgment. Do you agree with the court’s rulings? Leilani Souza, CRS, e-PRO, TRC is with Souza Realty in California, and specializes in auction bidding at trustee sales, real estate investments, residential rentals, leasing & property management, lots & land and custom home design & development. See our feature, Documentation: A Landlord’s Best Friend in Court.